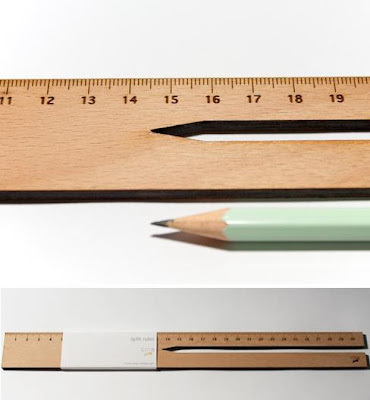 Collection of Creative and Modern Rulers from all over the world. 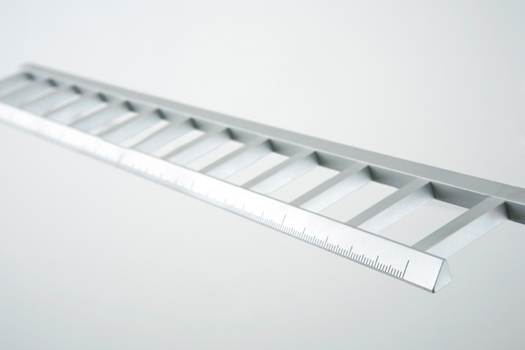 Ladder Ruler: This creative ruler is designed to look like a miniature replica of a ladder. Safety Cutter: It's a combination of safe knife and a ruler designed for finger protection. 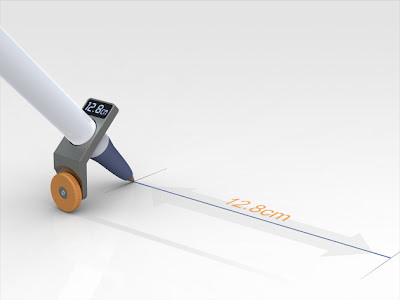 Ball Ruler: This device has to be attached to the pen and it helps to draw straight lines without using a ruler, measuring the drawn distance at the same time. 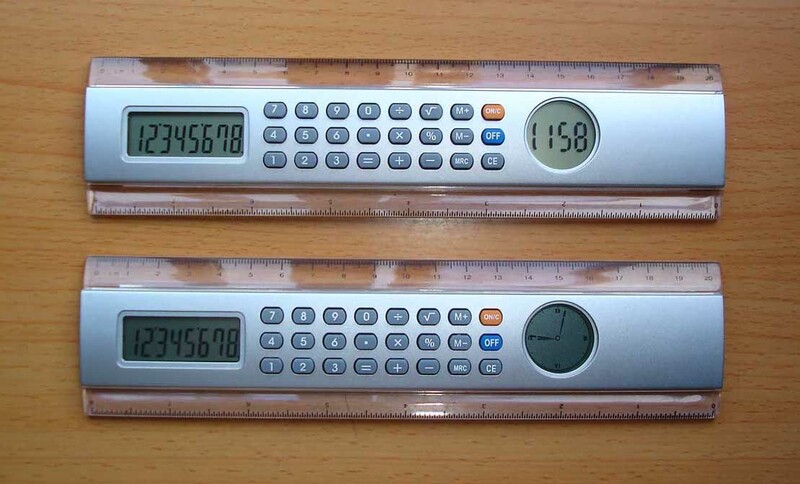 Calculator Ruler: This ruler comes with a built-in calculator and digital clock. Fantastic Four: It's an innovative ruler pen that features an orange highlighter, a black ballpoint pen, a pencil and a stylus all in one. 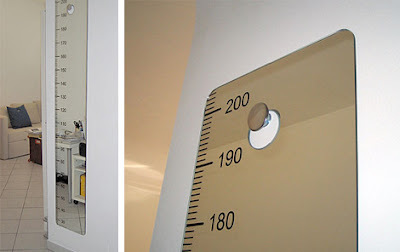 Ruler Mirror: Designed by Juanco - lorbus, it allows you to measure your height. 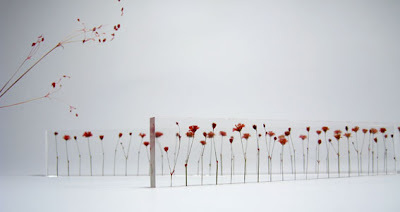 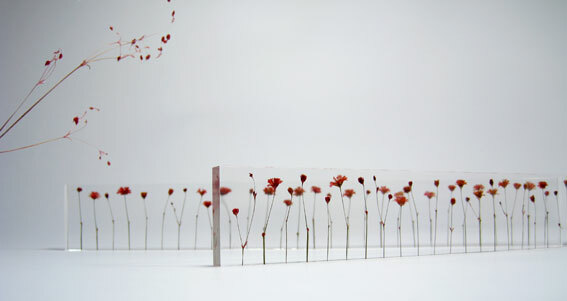 f,l,o,w,e,r,s: Creation of designer Norihiko Terayama, these are handmade acrylic rulers created with small dried flowers and each stem is meticulously placed one centimeter apart. 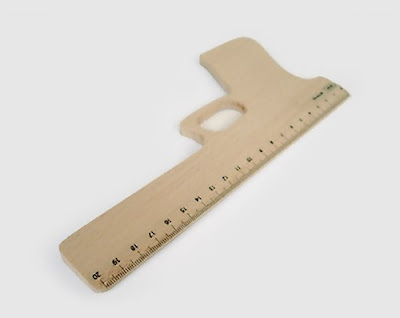 Split Ruler: This wooden ruler comes with a split that functions as a place to keep your pencil when not in use. 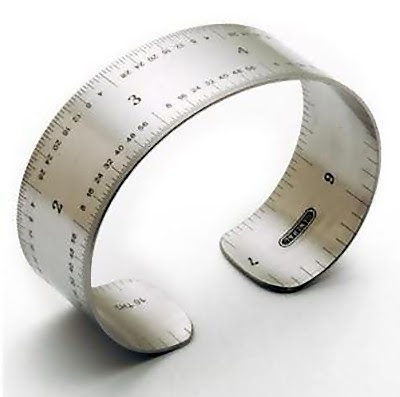 Ruler Bracelet: Made of stainless steel, it has inches on the outside and metric on the inside. 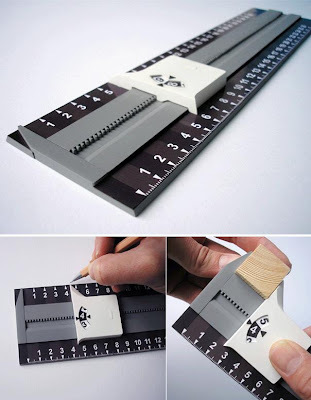 Pocket Knife Ruler: It combines folding knife with folding precision ruler. 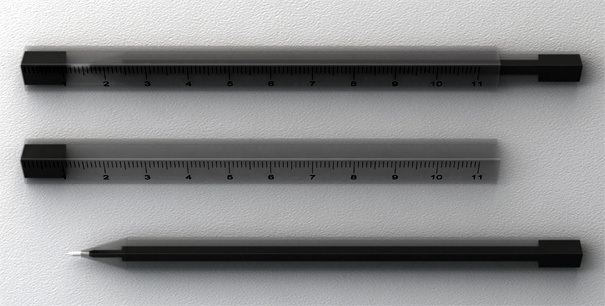 New Rule: It has bigger numbered, higher contrast measurement bars, displays the millimeter measurement as numbers on a wheel and a slider that rests against the track and clicks each time it passes over a tooth giving an audible feedback of each millimeter. 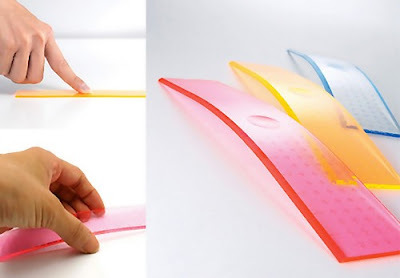 Arch Ruler: Creation of designer Tomoya Yoshida said to be "more convenient and enjoyable than your old fashioned, traditional ruler." 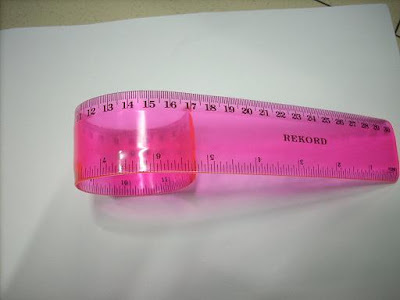 Soft Ruler: This flexible ruler occupies less space as it folds off. Electronic Ruler: To measure, all you need to do is just touch the point along the ruler and you can read the length. 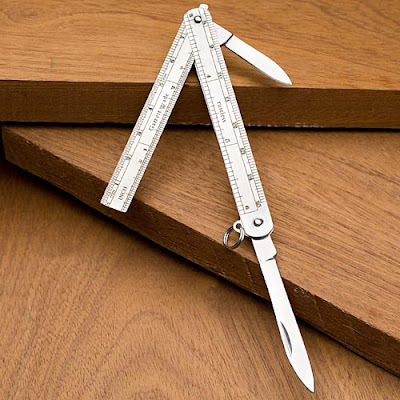 Leather Ruler: It works just like any other ruler and what makes it to stand out is a large piece of supple leather that provides the weight and traction necessary to draw important straight lines. 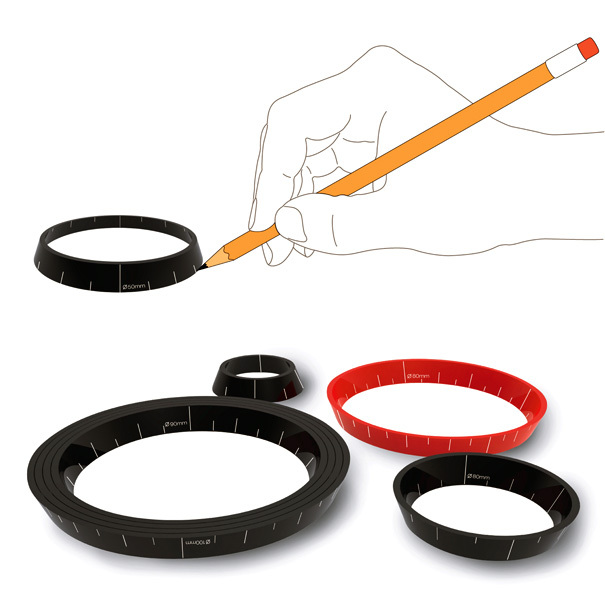 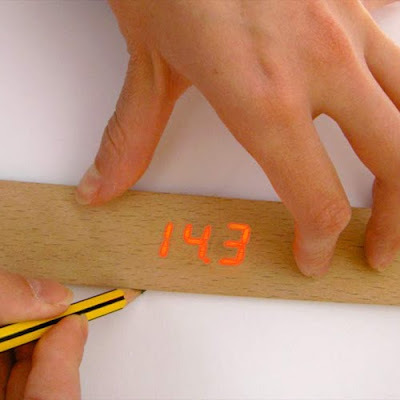 Smart Finger: It's a smart ruler concept that turns your fingers into a measurement tool. 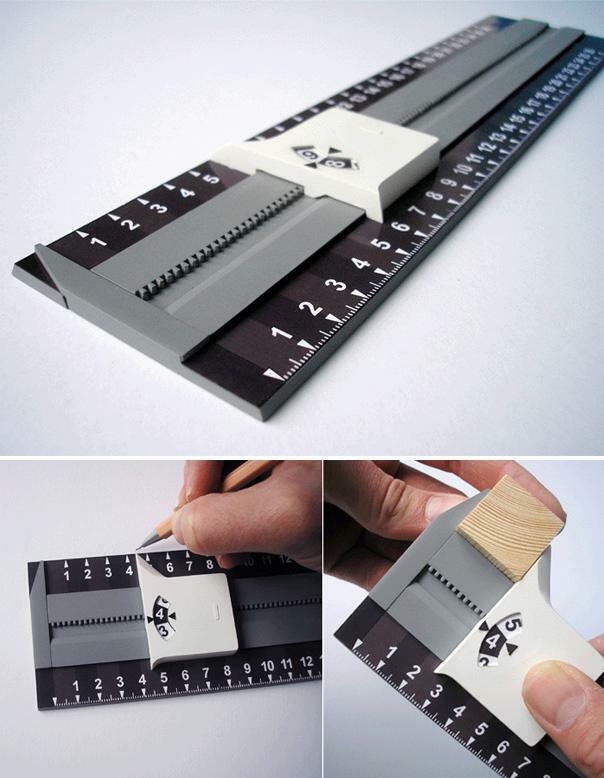 Stacking Rulers: This one comes from Ek Design and these can be arranged into various patterns with other polygonal shapes.